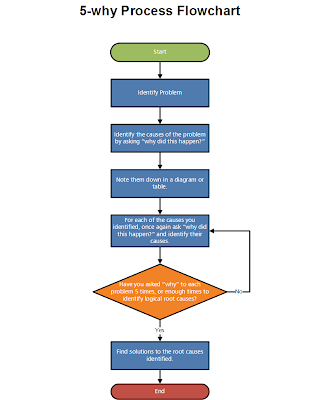 Learn how to find root causes of a problem by using 5-why analysis, so you can fix the issues where it matters most. Learn how to find root causes of a problem by using 5-why analysis, so you can fix the issues where it matters most. First in a series of articles explaining this powerful tool. 5-why analysis, used throughout the kaizen concept and in quality control, is a tool to discover the root causes of a problem. More often than not, people fix a problem by dealing with issues that are immediately apparent. While it may provide a quick fix, the problem tends to rear its ugly head in the same form, or with a different face later on. Fixing the problem by nipping it in the bud is what all leaders and associates should aim to do. Instead, we need to investigate the cause of the wilting. Did we water the tree recently? Are there tell-tale signs of fungi, bacteria or perhaps termites? Once we know the true issue, then we can fix it. Most people get stuck in the Do-Do-Do-Do cycle, in which they carpet bomb every possible solution with no guarantee that they will fix the true problem, wasting time, effort, and often money. 5-why analysis provides the tool to engage in precision targeting to fix the right problem in one go. Ask yourself: why did this happen? Come up with all the causes you can think of. For each of the causes you just identified, ask “why did this happen?” again. Repeat until you’ve done steps 2 and 3 for five times. You should have identified the root cause by this stage. You can also take a look at the 5-why flow chart above to the right, or download the PDF version for a closer and clearer look. 5 Because we forgot to prepare a Purchase Order. Why did we forget about it? In this case, the root cause is that we lacked a checklist to ensure everything was prepared at the designated time. The solution is to prepare it. Will there always be only one root cause? The example above provides a simplified solution model. When performing 5-why analysis, multiple causes will emerge from each causation branch. As a result, there will likely be several root causes identified and they must be prioritized, so you solve the most severe and pressing root cause. In the next articles on 5-why, several analysis models will be introduced. In the Toyota method, asking why five times is believed to lead to the conclusion. In reality, the number of times you ask why will depend on the depth of the problem. Sometimes three or four “why’s” is sufficient to reach the root cause. With a more complex problem, we can go up to seven or eight “why’s”. Of course, if there are too few “why’s” then it would indicate that the problem hasn’t been analysed in enough depth and detail. 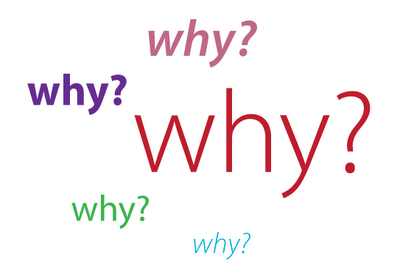 Too many “why’s” could alternatively indicate over-analysis, and that you’ve lost sight of the big picture. 5-whys must only be done by those who have done a specific job or project, as they have firsthand knowledge and experience to do so. For example, imagine that a bank teller just mistakenly transferred money into the wrong account. Luckily, the problem was reversed before any damage was done. To find out the root causes of the problem, only the teller is qualified to perform the analysis because she was the one who experienced it and knew the seen and unseen parts of the problem. Anyone else can only speculate on why it happened, but the truth can be told only by those who did it. 5-why is based on personal opinion on what the causes are, and two people performing 5-why analysis on the same problem can come up with widely differing causes and completely different root causes. The issue is slightly negated as long as the person involved in the problem performs the analysis. If they do, then they should have enough expertise to perform an accurate analysis. Identify the problem, then ask “why did this happen” to find causes. Ask “why did this happen” to the causes, and repeat until we’ve done it five times. Finding root causes allows us to solve the true problem. There are usually more than one root cause. Too few “why’s” may indicate insufficient analysis. Too many “why’s” beyond five-why may indicate over-analysis. Only the person who experienced the problem can do 5-why analysis. 5-why is based on personal opinion and can be flawed, so check your logic.